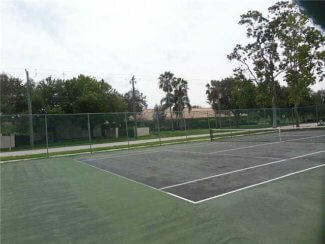 There are no condos available for purchase in Indian Pines in Stuart FL at this time. There are also no condos currently under contract. 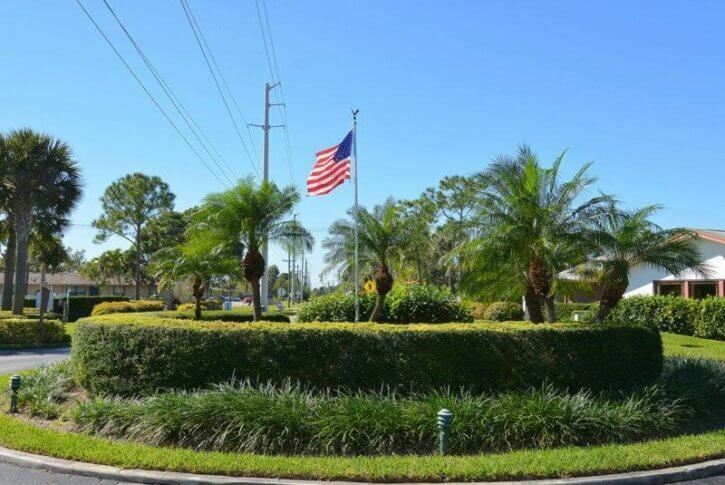 In the past 12 months, 9 condos have sold in Indian Pines. Sales prices ranged from a low of $114,000 up to a high of $160,000 for an average sales price of $136,611 which works out to $114.11 per square foot of living area. 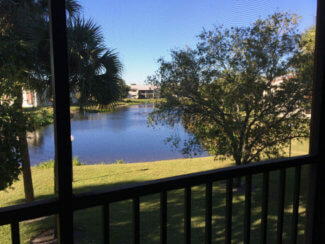 These condos averaged 51 days on the market prior to going under contract and sold for an average of 94% of list price. 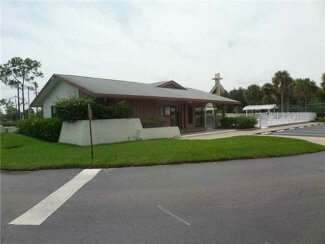 Centrally located in Stuart off of Indian Street on Aster Lane lies the Indian Pines condominiums. 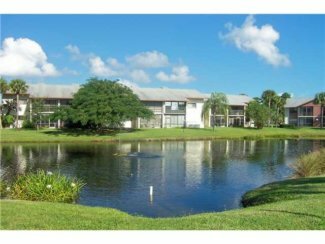 This complex consists of 20 buildings in two ovals surrounding two lakes. This unique arrangement gives every condo in this complex water views. Built from 1981 through 1986, Indian Pines are two-story buildings with mostly 2 bedrooms, 2 bathrooms condos, though there are a few 3 bedroom and 1 bedroom units as well. The 3 bedroom condos have 1,542 sq. ft. of living area, 2 bedroom units vary from 1,251 down to 1,019 sq. ft., while the 1 bedroom condos have 1,011 sq. 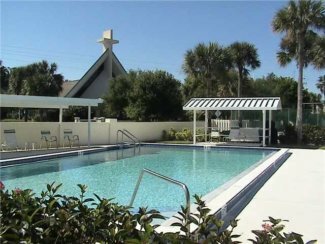 ft.
There’s a heated pool, clubhouse, and two tennis courts as well as ample parking with some buildings offering covered carports. The condo association fees range from $325.00 a month up to $400.00 depending on the building as each one has its own condo association. These fees may vary as different buildings have different reserve setups and management and cover water and sewer, common areas, building insurance and maintenance, basic cable TV, landscaping and lawn service, trash pickup and reserve funds. All ages are welcome. 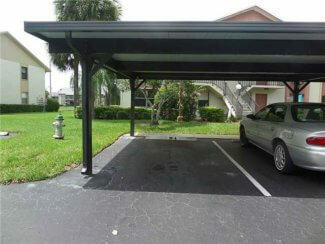 Rentals are allowed in Indian Pines with some restrictions. And, this is one of the few condos in the area that allows up to 2 large pets per owner. Children who live in Indian Pines are zoned to attend J. D. Parker Elementary School, the Dr. David L. Anderson Middle School, and the Martin County High School. 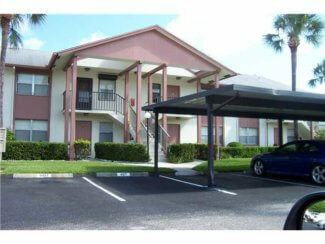 Indian Pines is very conveniently located close to shopping, restaurants and medical facilities. Only a few more minutes to either the beaches or boat ramps of Martin County or to I-95 for those needing to take a trip either north or south.